Start a run using the shortcut. Starting with or without permission. Figure 1 shows the Windows Desktop. The Desktop is the main screen that you see after logging on, when first turning on your computer. You can return to the Desktop anytime by closing all the programs that you have running. 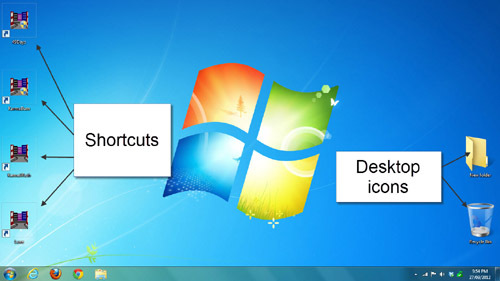 Programs that run in windows can be closed by placing the cursor on the red X button found in their top right corner and clicking once with the left mouse button (Figure 2). When you have closed all the open windows you will be left with the Desktop screen. Figure 2 - Closing a window. All GODDGAMES and Urthgame shortcuts use the same picture or icon shown in Figure 3. They are placed on the Desktop during the installation of an orb so that you can use them to start the program and make runs. Figure 3 - Urthgames shortcuts. Identifying text beneath the picture. Figure 4 - Basic shortcut. Figure 5 - Shortcut plus shield. When you have identified the orb shortcut that you want to run, place your cursor on the shortcut and quickly click twice with the left mouse button. If you double clicked an icon with a small shield like the one shown in Figure 5, Windows will now ask for your permission to run the orb program by having the window shown in Figure 6 pop up. Place your cursor on the Yes button and click once with the left mouse button. 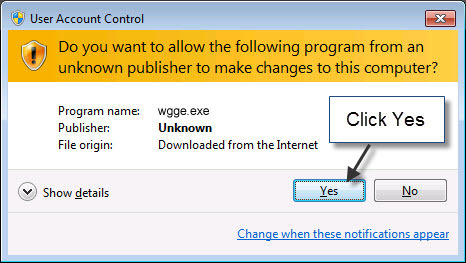 Figure 6 - Permission popup. 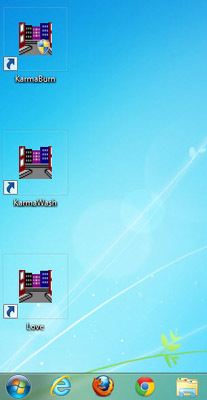 The orb will now start and you will see the shortcut appear on the bar at the bottom of the Desktop screen (Figure 7). Figure 7 - Orb start-up needing permission. If you double clicked on a shortcut like the one in Figure 4 without the shield, Windows will not ask your permission and the orb will start immediately without the popup. The shortcut will now appear on the bar at the bottom of the Desktop as the orb run starts (Figure 8). Figure 8 - Orb start-up with no permission.